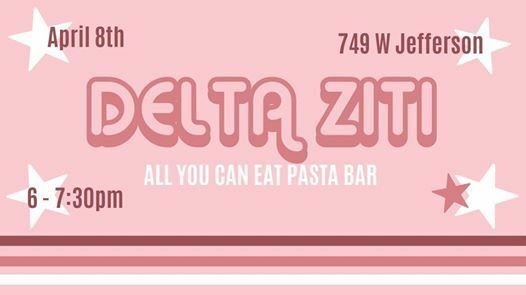 The ladies of Delta Zeta are proud to present our 2nd Annual Delta Ziti event benefitting the Starkey Hearing Foundation, The Painted Turtle and the FSU Speech & Hearing Clinic. 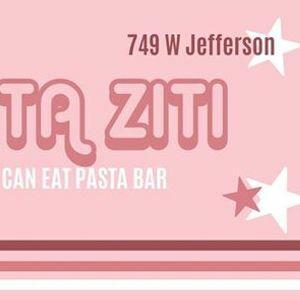 Delta Ziti is an all you can eat pasta bar featuring all of your favorite pasta, Italian sides, beverages, tunes and last but not least - dessert. Delta Ziti will be held at our home located at 749 West Jefferson Street, Tallahassee, Florida on Monday, April 8th, 2019 from 6:00-7:30 PM. We invite family, friends, alumni, and members of the Florida State University and Tallahassee community to come out to Delta Ziti and spend an evening at our home for a cause that is near and dear to our hearts (and stomachs). Tickets for Delta Ziti can be purchased at https://my.crowdchange.co/3dy75n for $6 pre-sale or $8 at the door.